Lately I have been working a lot with Claire Bowman products. As I always say to my students and cake friends, this product has so much potential we barely scratched the surface of what can be created with it. 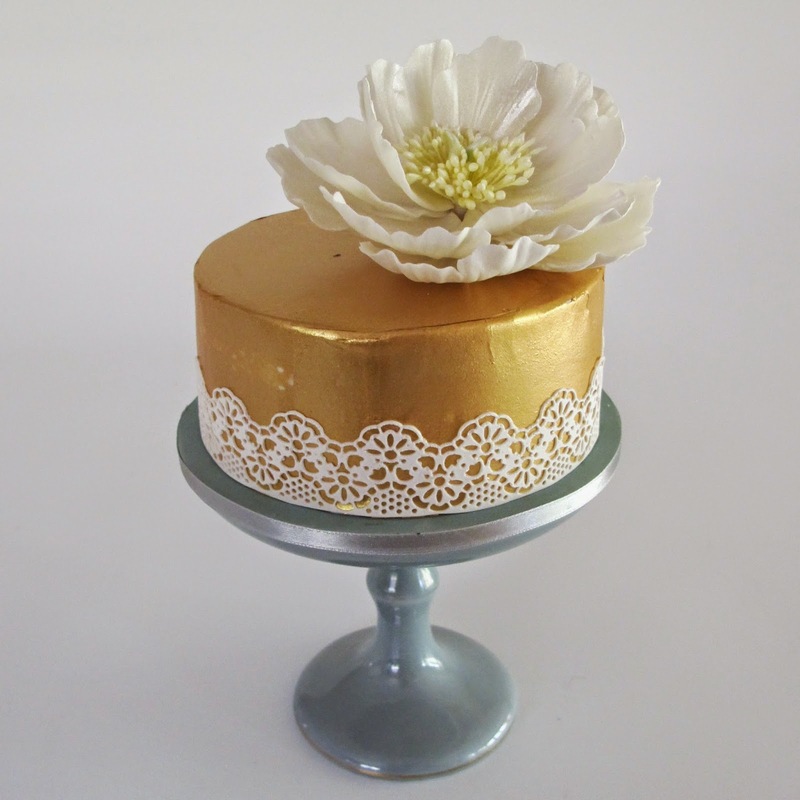 Today I would love to share with you how to make faux gold leaf, using Claire Bowman Cake lace. Surely you will love it as much as I do. Not only can you save time and money but you can apply this technique with all other pearlized Claire Bowman lace mixes. 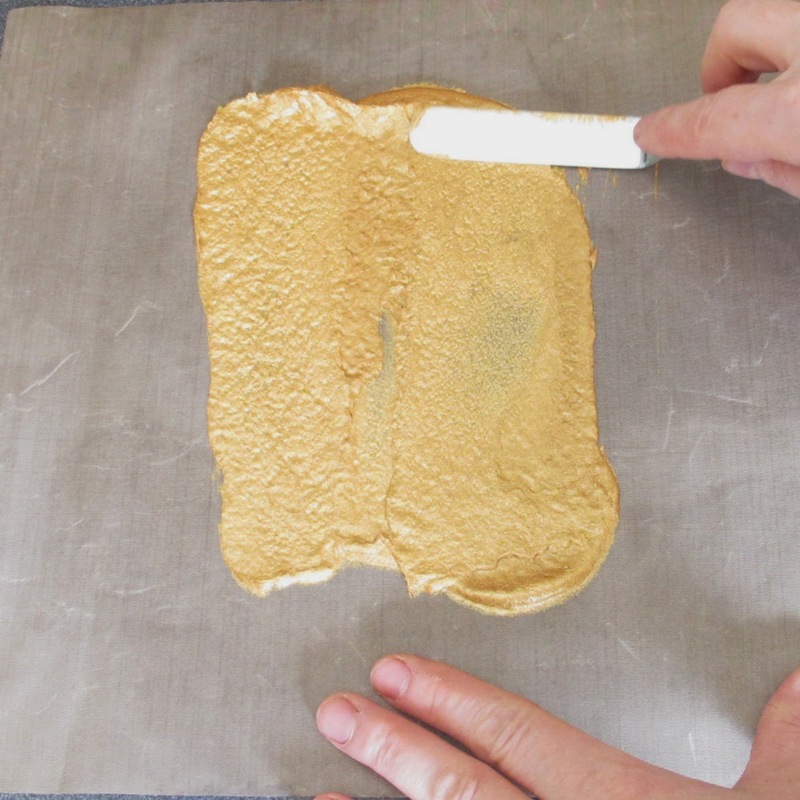 spread the gold cake lace mix onto a non stick baking tray liner. 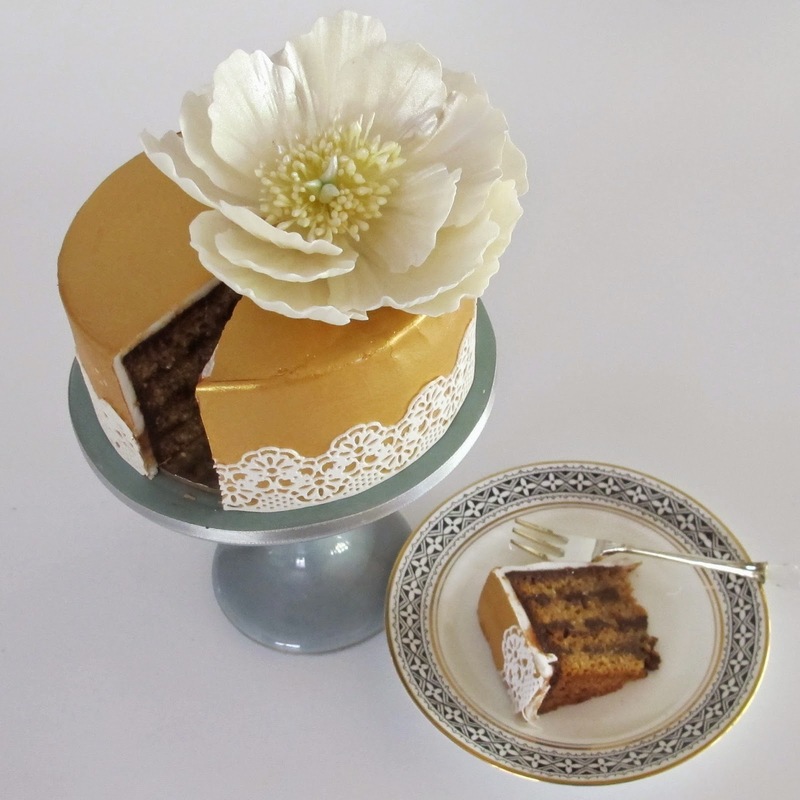 use a large plastic or metal scraper (this is a sugar veil scraper) and evenly spread the cake lace. 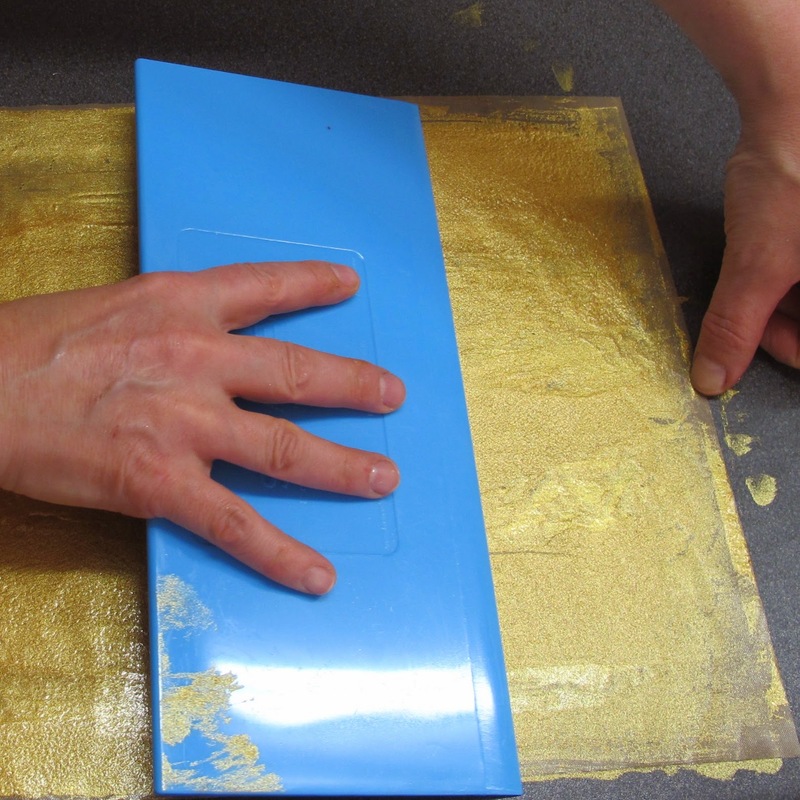 turn a baking tray upside down, place the gold sheet on it and bake at 80° C for about 8-10 minutes. 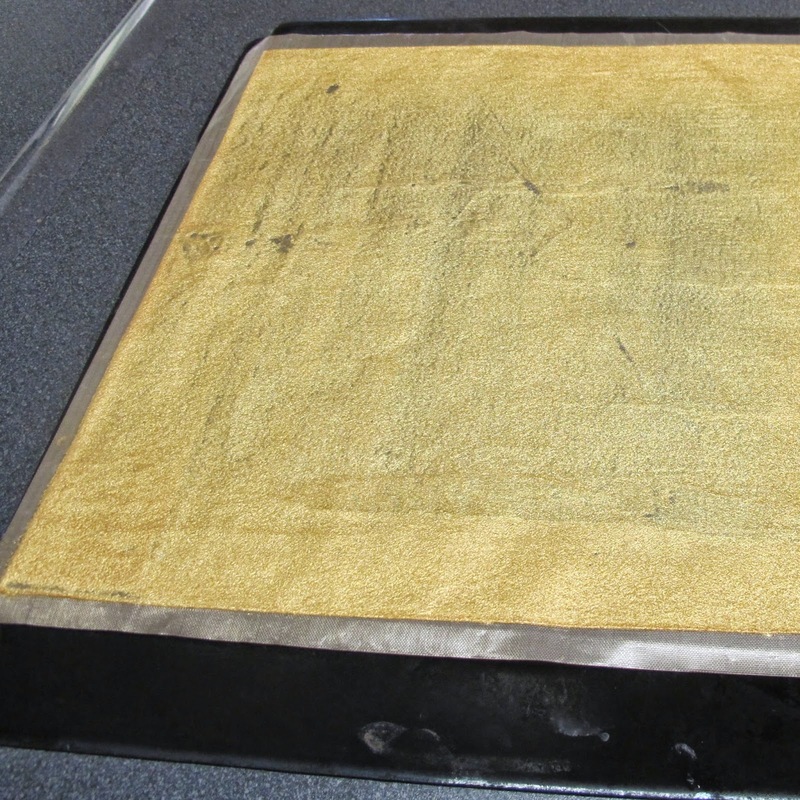 alternatively use "THE MAT" as a frame, cut it into a rectangle about 2" larger than the non stick baking sheet and for the centre about 1" smaller than the baking sheet. Secure the baking sheet as well as the frame with some masking tape on the work bench, spread the lace mix evenly using the frame as a guide. Remove tape from frame and slowly lift the frame away. 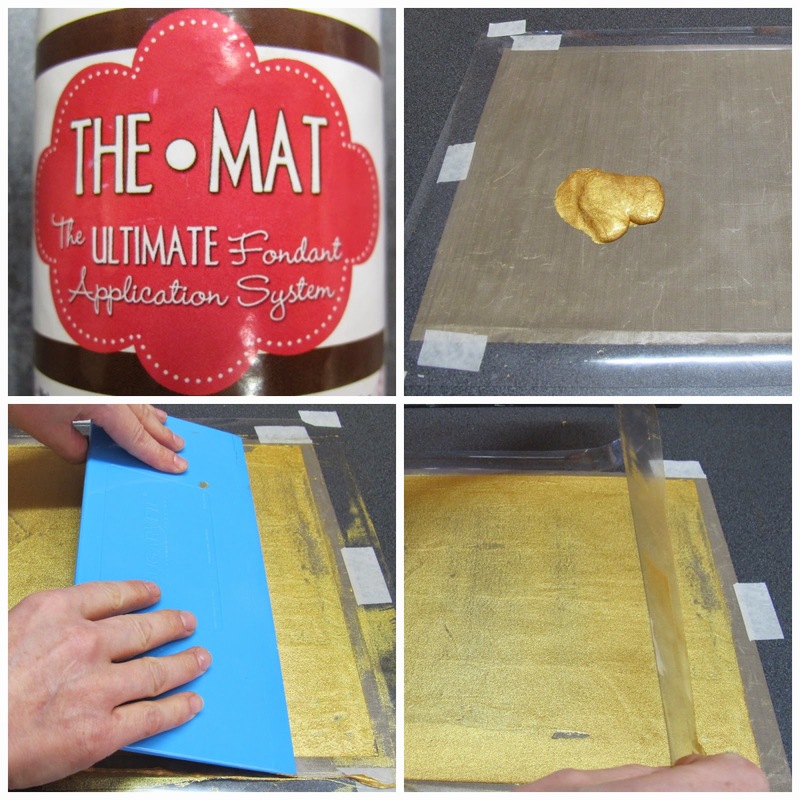 place a baking paper on he work bench, turn the gold sheet upside down and and peel the non stick baking mat away. 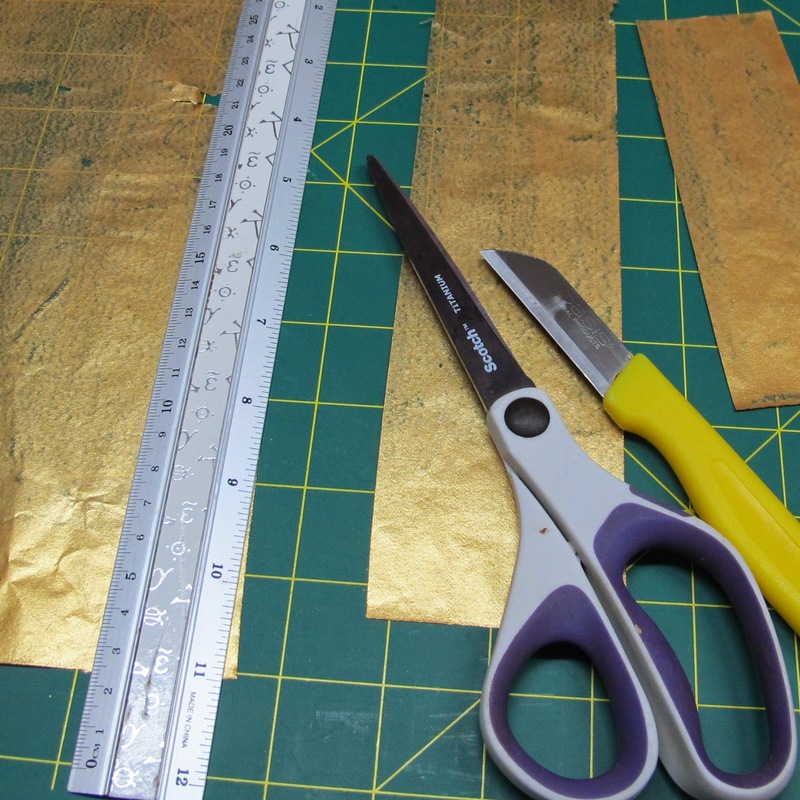 cut the gold paper to the required size using a scissors or a craft knife on a cutting mat. 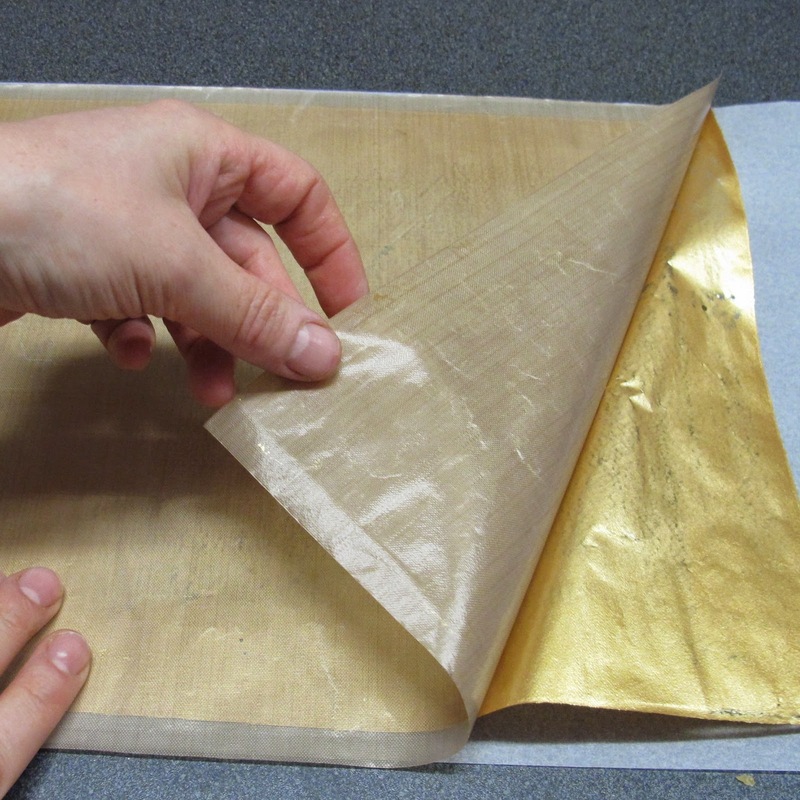 Any leftover gold paper can be stored between baking paper for up to 6 months. 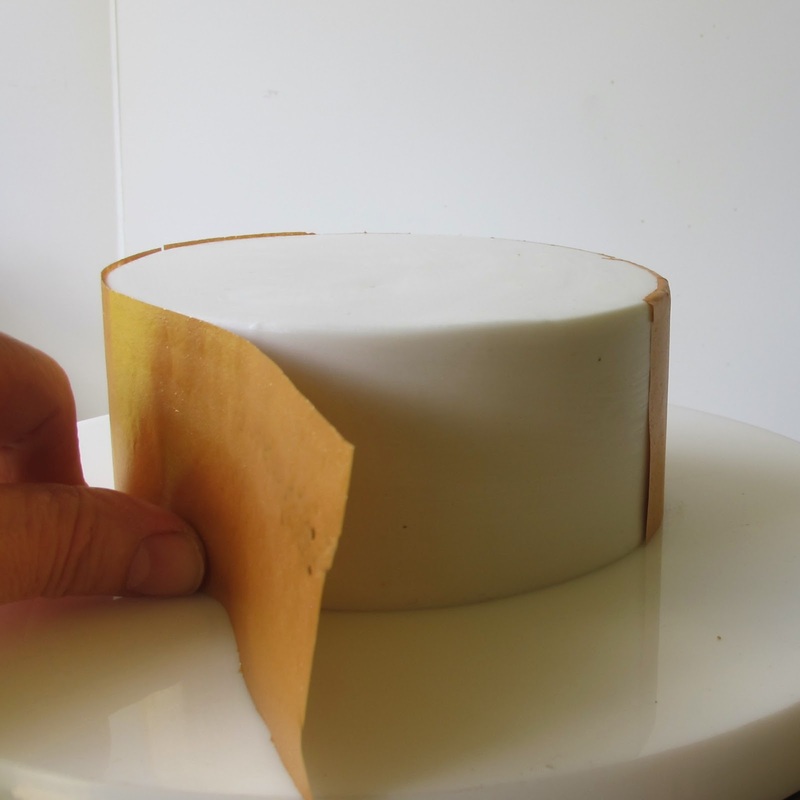 stick the pre cut strips of gold paper on the cake. 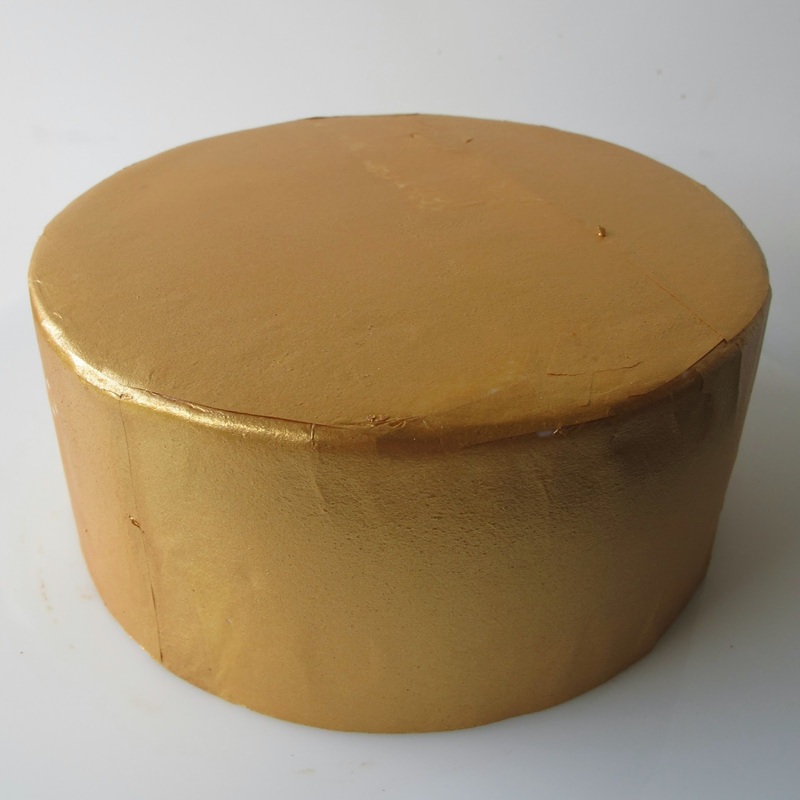 for the top, cut a circle of gold paper same size as cake and adhere to the cake. all finished had to have a piece to eat ! caramel mud cake with salted caramel and ganache filling. I love the look of mad hatter cakes. 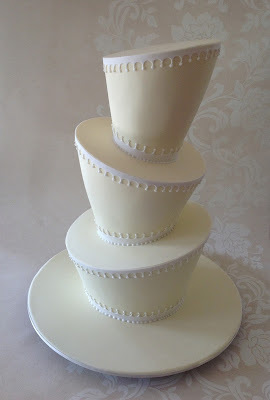 Most designs are very colourful and often used to add grandeur to a birthday celebration. The mad hatter shape is one of the more difficult ones to create, because if it is not balanced properly, it won’t look right. I created this very pretty Floral mad hatter cake design for the wedding of my dear friends, Michaela and Jay, last weekend. 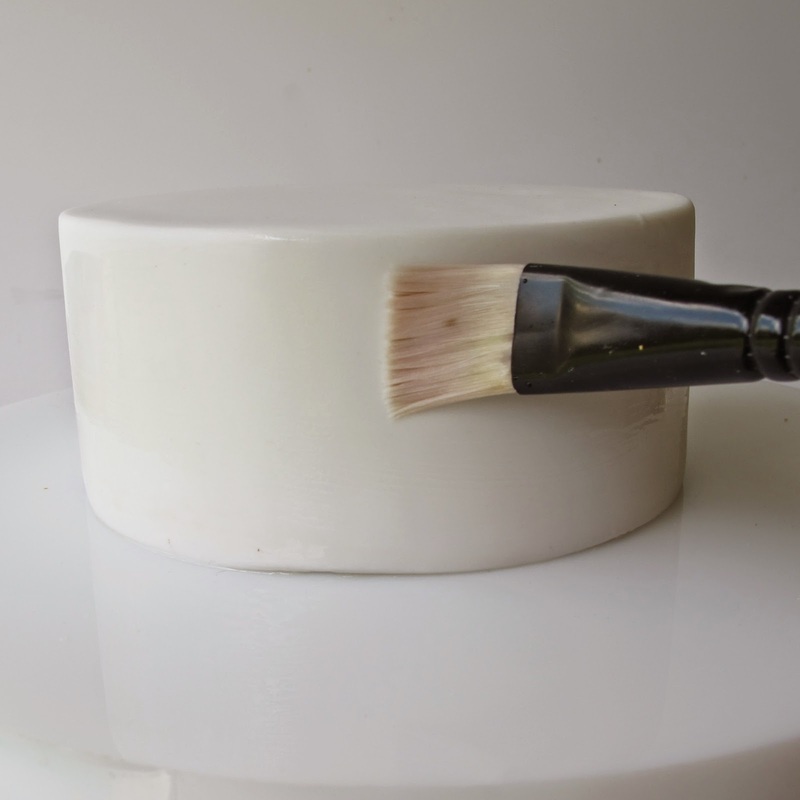 When I studied cake decorating, I always wanted to know how to sculpt a perfect mad hatter cake. I tried all sorts of methods, but they just never looked right. It was only when I worked for Sweet Art in Sydney I finally learnt how to sculpt the cake in the right manner. It was still a hit and miss system for me at the start because it was rather complicated and did not make much sense to me. Later working for Planet Cake I perfected the shape and since I had to teach this cake to advanced students, I designed an easy and logical method for anybody to follow and achieve the same wonderful structures I have created. 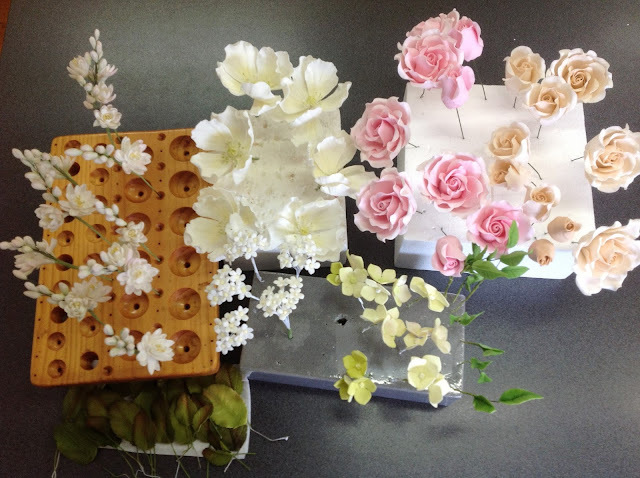 Roses, tuberoses, filler flowers, anemones, hydrangeas and two types of foliage. To give my flowers a realistic look, I applied several different colouring techniques. Tuber roses and anemones are dusted with petal dust. 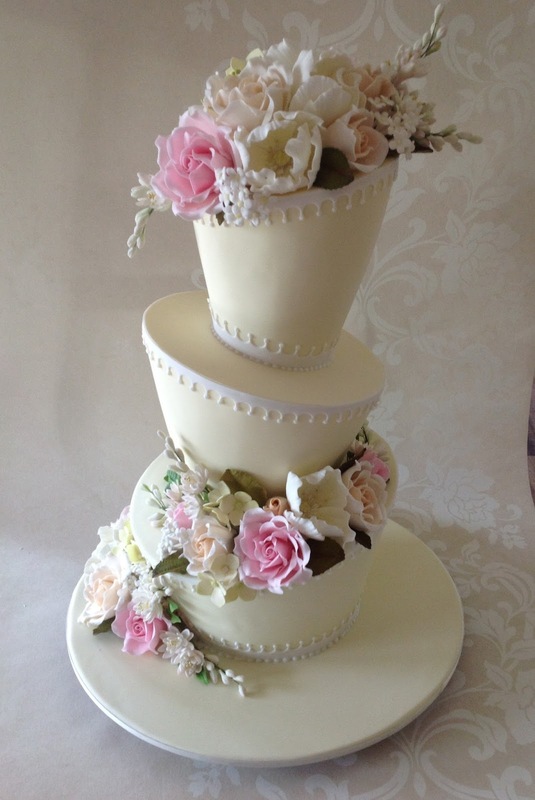 The foliage and the hydrangeas are airbrushed and the small leaves are glazed as well. The filler flowers are white with a tiny yellow centre. 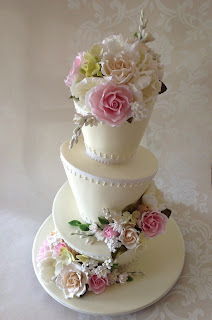 The cake itself was covered with cream-coloured icing and the border is a white scalloped fondant strip, embellished with royal icing pearls. 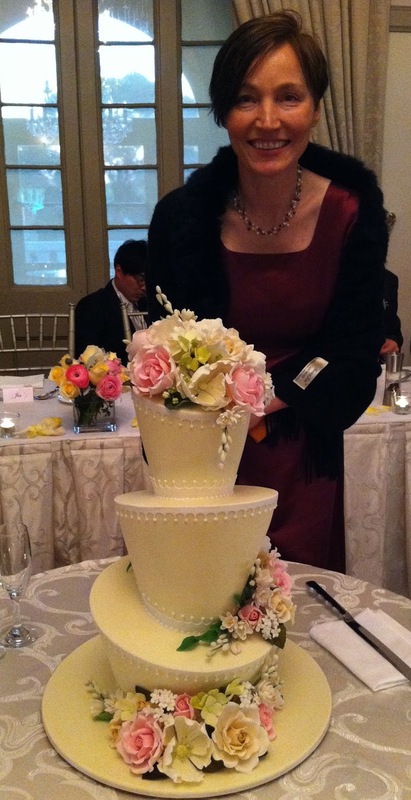 They called me the mad hatter queen from the days I perfected the art of this cake. Nowadays there are lots of mad hatter queens out there. However, I do consider myself as the ‘queen mother’ of the mad hatter cake. Do you like Cherry Ripe chocolate bars? I love them. What a perfect combination; chocolate, cherries and coconut. The cake is very rich and dense, perfect for cake sculpting, not for the faint hearted and definitely not for a healthy snack. It tastes best if cooked a couple of days in advance. 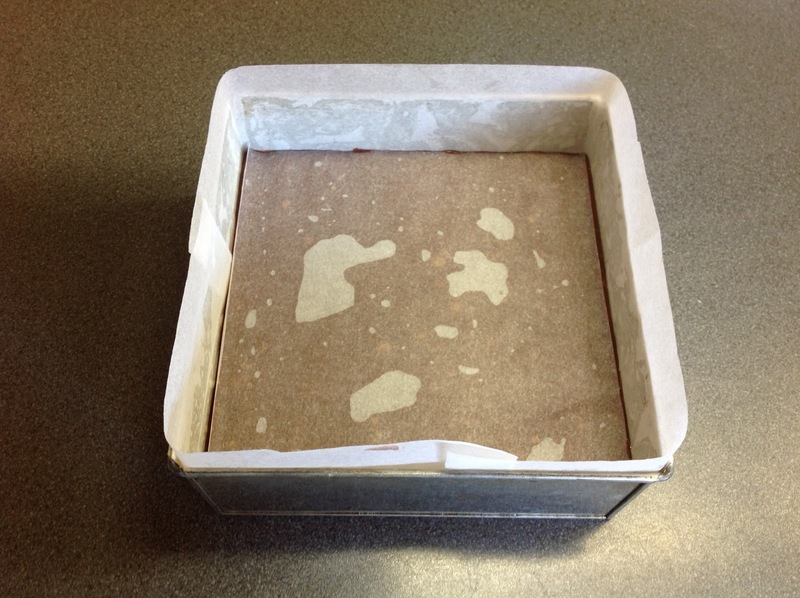 Line an 8” (20cm) square cake tin with baking paper. Place the tin on top of baking paper, trace around it and cut 2 squares. For the sides, cut strips of baking paper about 2.5cm higher than the tin. Spray the tin with cooking oil spray or brush with melted butter and stick the paper on the bottom, then stick the paper on the sides. Combine the coconut milk and butter in a saucepan and heat gently. 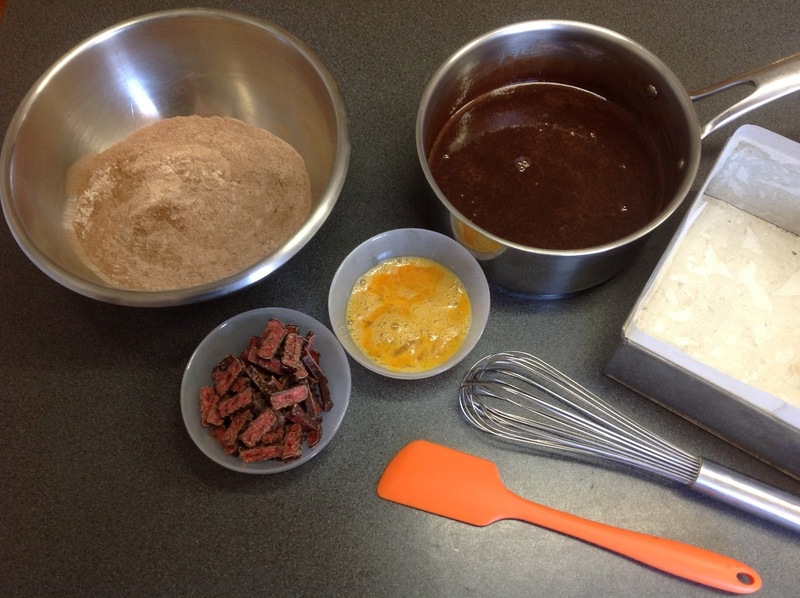 Once the butter is melted, add chocolate buttons and stir until they are dissolved, then add the sugar. Cool to room temperature. Meanwhile, sift the dry ingredients into a bowl. Chop the Cherry Ripe bars and break the eggs. 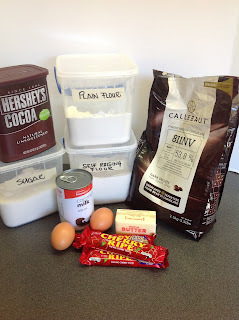 Poor the cooled chocolate mixture into the dry ingredients and mix well, add the eggs and last add the Cherry Ripe bars and mix through the batter. Poor the cake mix into prepared tin. TIP: Place baking paper on top as this prevents cake crust from forming. Bake at 150 C for about 1hour and 45 minutes. 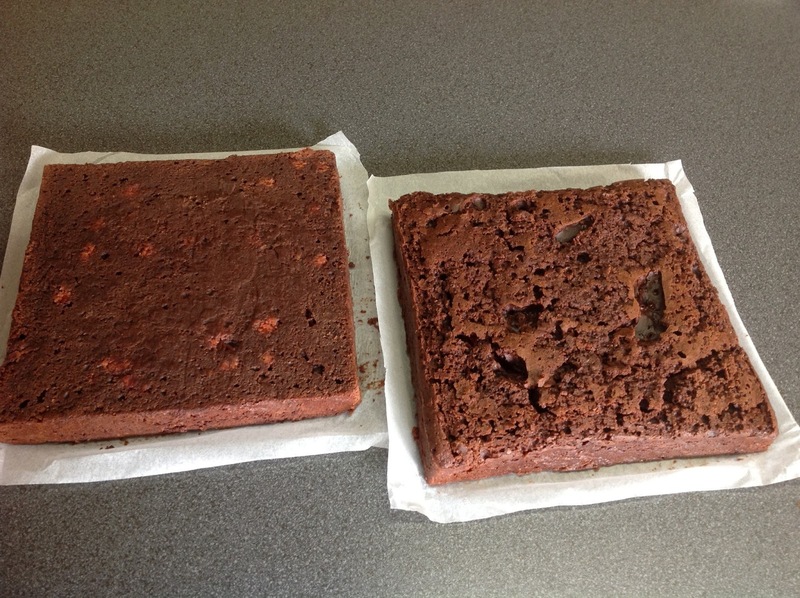 Once completely cold, cut the cake in half and place onto a sheet of baking paper and wrap in cling film. I am using my cake for my son’s birthday cake in a few weeks, can not tell you yet what I am going to make - keep reading. 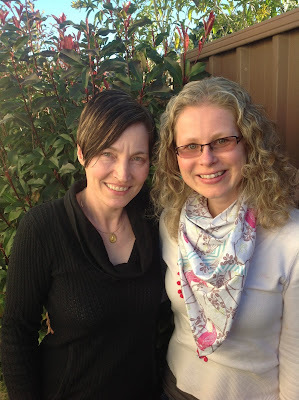 Here with my friend Hana Rawlings from the Czech Republic, and finally after years of procrastination setting up my blog. I hope you will like it and I am looking forward to your visits again.